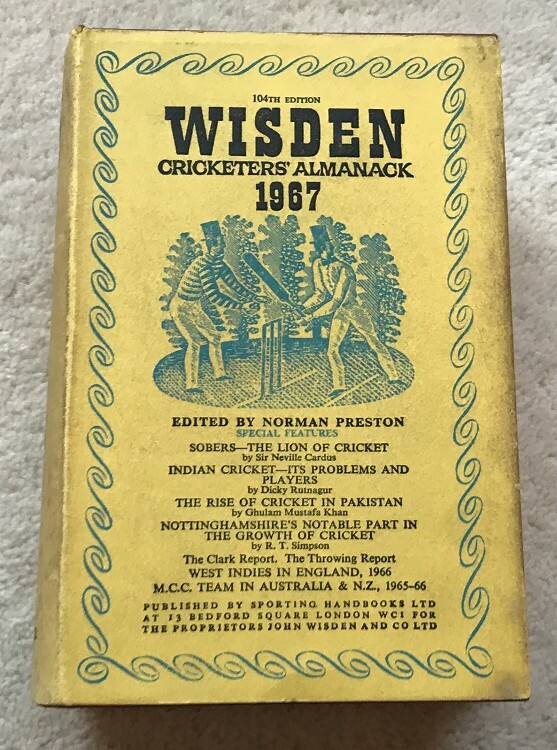 This lot is a 1967 Original Hardback Wisden with Dust Jacket. The internal book is very nice but the DJ is in Poor condition. The reason for the rating is the DJ has a large amount of marks to the spine. Please see the large pictures. 3rd Wisden with a DJ.